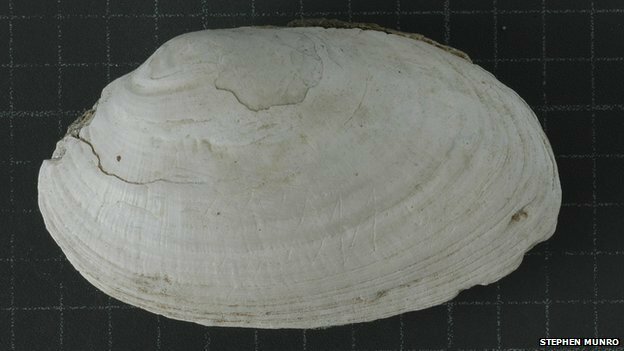 Zig-zag patterns found on a fossilised shell in Indonesia may be the earliest engraving by a human ancestor, a study has claimed. The engraving is at least 430,000 years old, meaning it was done by the long-extinct Homo erectus, said the study. 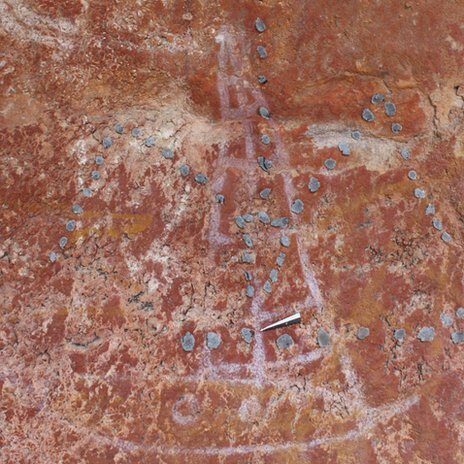 The oldest man-made markings previously found were about 130,000 years old. 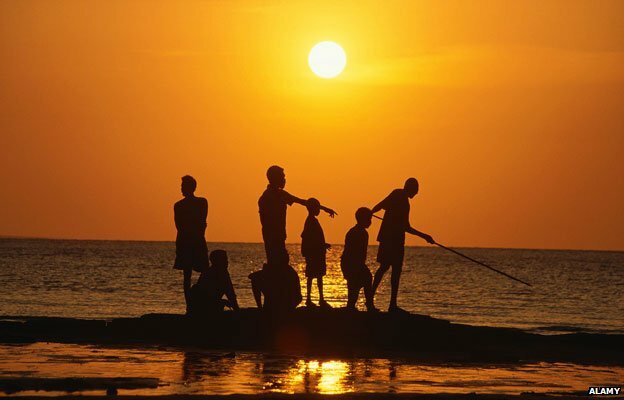 If confirmed, experts say the findings published in the journal Nature may force a rethink of how human culture developed. One of the report’s authors, Stephen Munro, told the BBC it could “rewrite human history”. 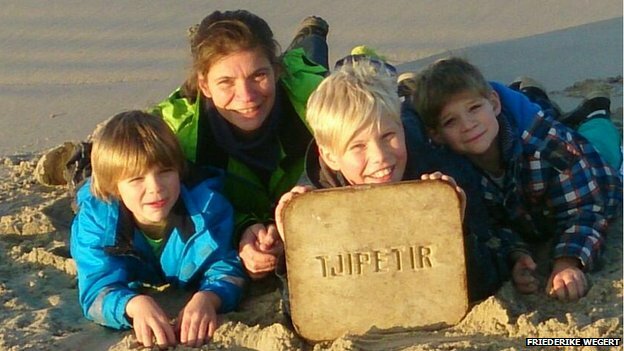 Tjipetir mystery: Why are rubber-like blocks washing up on European beaches? For the past few years, 100-year-old rubber-like blocks from Indonesia have been mysteriously washing up on beaches in the UK and northern Europe. 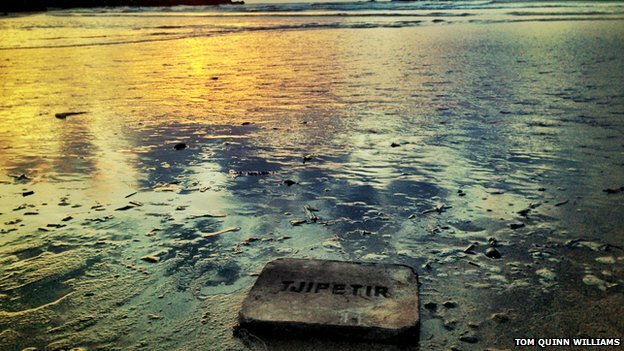 The Titanic has been suggested as one of the possible sources – but now a beachcomber says she may have solved the puzzle of the Tjipetir blocks. It looked like a large chopping board and the word “Tjipetir” was engraved into it. Weeks later, she found another such curiosity on a different beach alongside bales of rubber, washed up in a cove. But Williams believes she has worked out the source of the mystery – and it matches what the UK authorities think too. 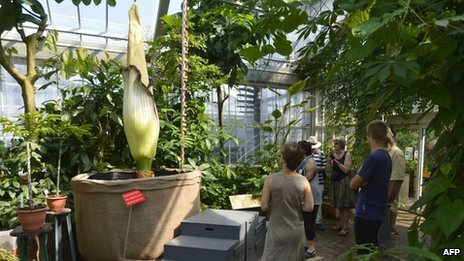 The National Botanic Garden of Belgium is staying open late to give visitors a chance to see one of the world’s largest and smelliest flowers. The Titan Arum rarely blooms, though the Brussels specimen is said to have done so three times since 2008. The flower rises 2.44m (8ft) off the ground and is expected to wane on Wednesday after only three days. The Titan Arum is also known as the “corpse flower” because of the strong stench of rotting meat it gives off. When the plant is ready to attract pollinators, the spike heats up and gives off the smell which, while revolting to humans, is very alluring to insects. It then develops a fruit which attracts birds before ending its life. 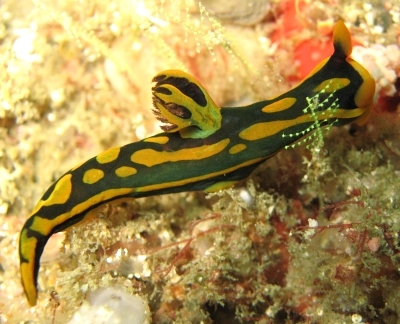 It is endangered in its natural habitat of the tropical forests of Sumatra. 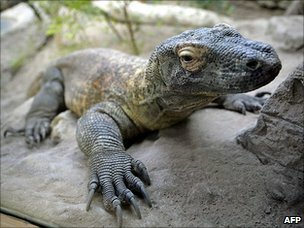 Two men have been injured in an attack by a komodo dragon in a wildlife part in eastern Indonesia, park officials say. Komodo dragons are the world’s largest lizards, growing up to 3m long, with razor-sharp teeth and a poisonous bite. The dragons’ jaws contain highly poisonous glands that can cause paralysis. The reptiles are unique to a small group of islands in eastern Indonesia. They live on a diet of mainly large mammals, smaller reptiles and birds, but have been known to attack humans. 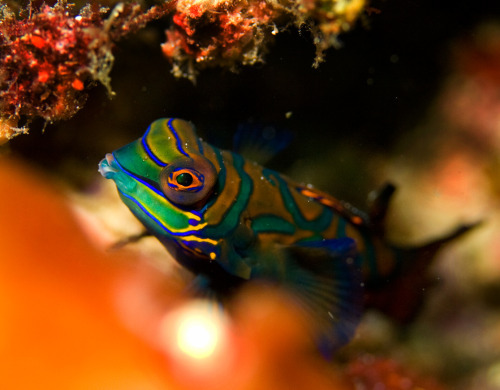 The animals are endangered in the wild and protected by international law – fewer than 4,000 are believed to be alive. 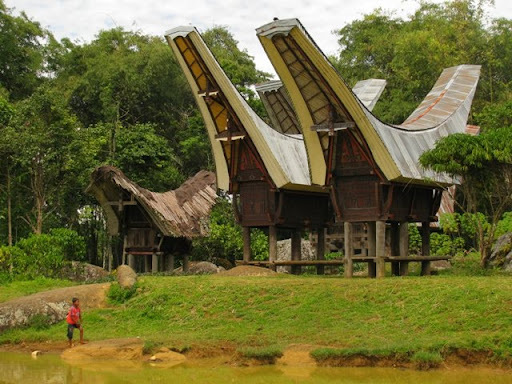 The island of Sulawesi (formerly The Celebes) in Indonesia is the village of Toraja where the dead walk to their resting place. Apparently there are still people in the village that have the power to make the dead walk. Torajans are famous for their elaborate funeral rites, burial sites carved into rocky cliffs, massive peaked-roof traditional houses. Sulawesi is a mixture of Christian, Muslims and Animist, Aluk To Dolo (“Way of the Ancestors”). These last two images, I discovered, are from Madness and Beauty, give them credit. Good story there. Apparently this is the only known photo. 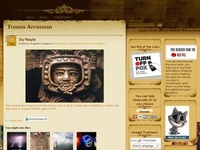 There has been much ridicule over whether it is faked. 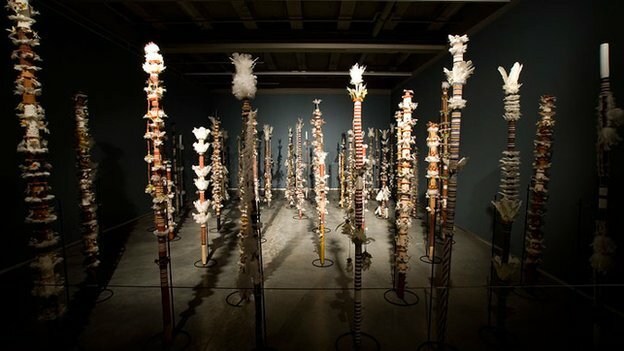 But since the time of the Dutch colonisation in the 1600s this story has persisted. 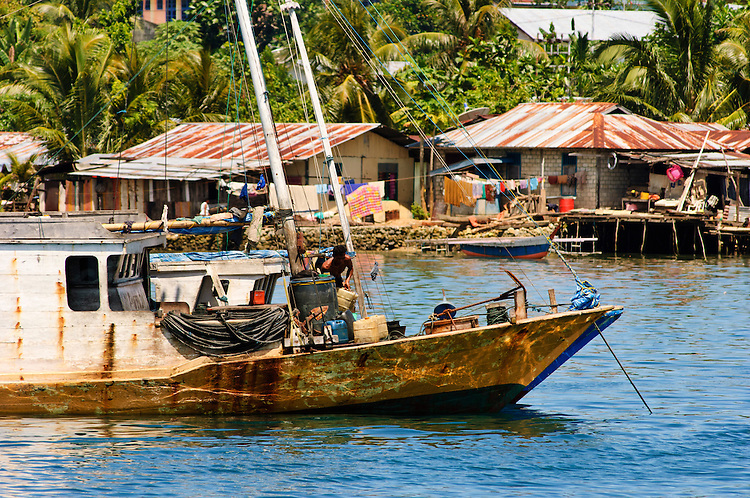 Most people don’t even know that Papua exists, nor that it is a part of Indonesia. 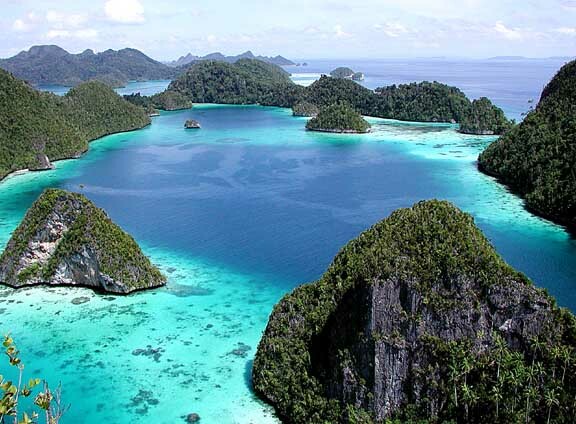 It is the eastern-most part of Indonesia. Independence has more recently been a ticklish issue, with several attempts in recent years. Some sights from this remote part of the world.